One of the first important steps to communicate effectively with other people is to look approachable. Whether you are trying to be a good a employee in the workplace or meet other singles at the social gathering, how friendly and acceptable you appear to be will determine the kind of people you will meet. Here are some tips to help you look approachable. 1 Smile to the eye. When people catch your eye greet them with a friendly smile, just don’t stare that may send wrong signals to the person, may be you are not interested to interact, or you are just into yourself. If you are overly quiet, people can often interpret that as being sullen or antisocial. Make a point of saying hello to people, asking how they’re doing or making conversation and interacting. You will look more approachable no matter what social setting you are in if more people know who you are and recognize you as an acquaintance or an associate. A good way to establish these connections is by networking both socially and personally. Ask friends to introduce you to their other friends, get invitations to as many events as possible and expand your social circle whenever you have the opportunity. In order to be approachable, you have to look like someone that another person would want to approach. Make sure that you are always dressed well and in appropriate attire for the given event – professional in a business setting, formal attire for a formal outing and so on. Make personal grooming a part of your daily routine and get haircuts and manicures on a regular basis. These small personal details will make you look well put together and worth meeting. A great way to make yourself approachable and get all types of people to approach you is to expand your horizons and constantly improve yourself. Whether it’s taking an art class to expand your cultural realm or joining a gym to take up yoga and get yourself in shape, trying something new and getting yourself involved in a wide variety of things will allow you to meet new people and improve yourself at the same time. You will be more approachable to people if you have the self-confidence to believe that you are worth approaching. Believe in yourself and your self-worth, and the confidence you feel will make other people want to get to know all of the great things about you. Looking confident and strong will attract other people to you. 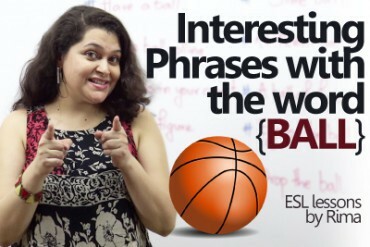 Interesting English phrases with ‘Ball’. 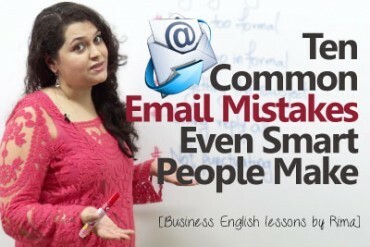 10 common Email mistakes even smart people make. your presentation is very good, I say your vedio and try to learn something. 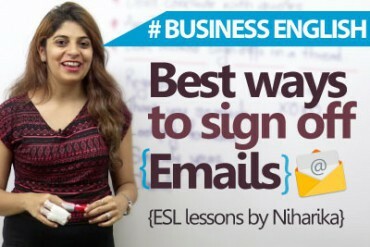 how to easyway to learn english. pls advice me.